This incredibly info-packed volume offers hundreds of beautifying ideas for you to incorporate into your life—one for each day of the year. 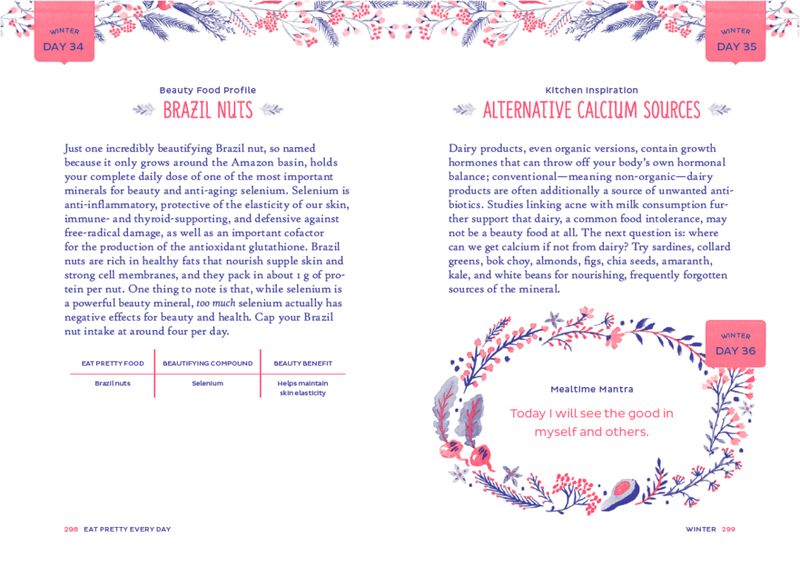 The inspiration behind the book was you—the readers who have asked me for more ideas, more guidance, and more real-life beauty nutrition strategies since Eat Pretty debuted! 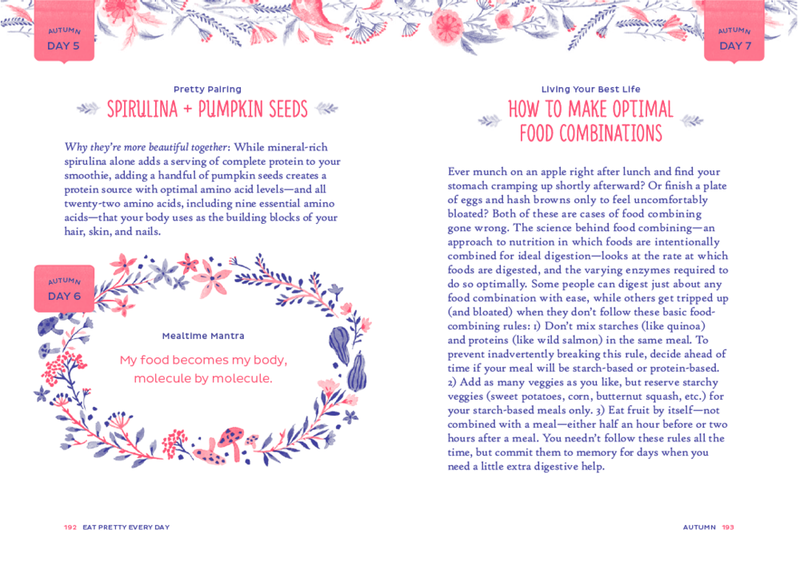 I wanted to put as many beautifying ideas as I could into a book that would motivate you every time you picked it up and flipped through its pages. I believe that, even though we all lead busy lives, we can all do one thing every day to nourish our best selves. The message: do one thing every day to make yourself glow, as the book challenges you! Inside you'll find more than a simple page-a-day book. Eat Pretty Every Day is organized seasonally, so the ideas you read will more closely match the spirit, intentions, and your personal beauty needs of that season. So many inspiring ideas—one for every day of every season! "With Jolene Hart's book, your skin will never look better." "Jolene Hart really delivers great info that makes you think beyond your beauty products and focus on what you’re putting in your body, how much rest your getting, and even your social connections and emotional health. [This Book] Is a great daily reminder to take care of yourself in order to look and feel your best and I’ve learned so much from it already (She’s always so informative!)."